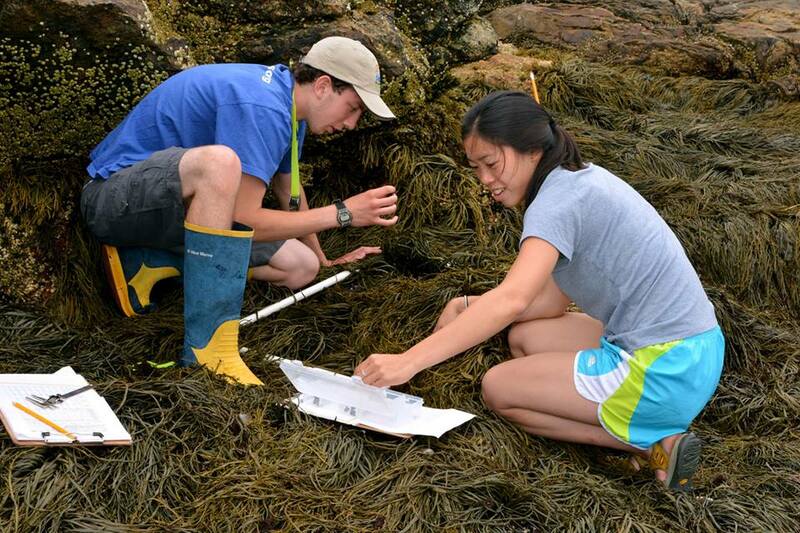 Intertidal Ecology Interns collect biodiversity data in intertidal transects permanently established around Appledore Island as part of a long-term monitoring program using National Park Service protocols. 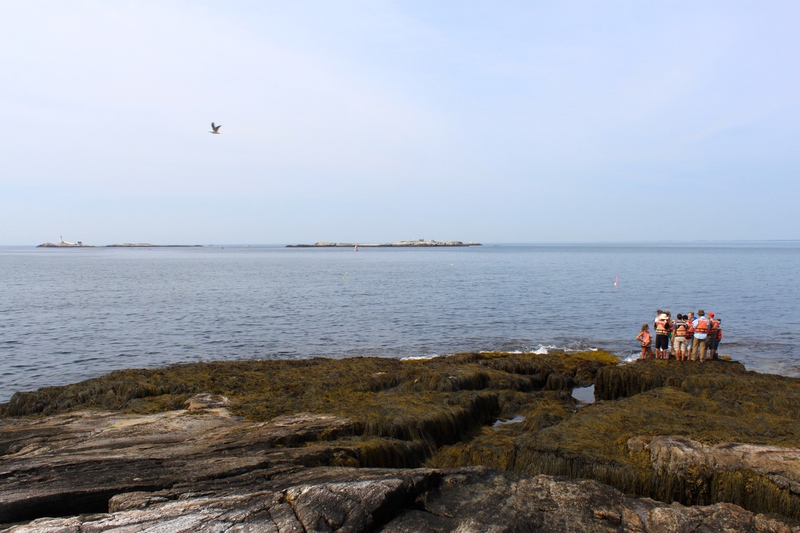 These transects are critical to evaluate the effects of climate change and introduced species in the Gulf of Maine, as well as to document shifts in species distribution and abundance. Interns identify all species in their transects, analyze transect data, and design future studies. 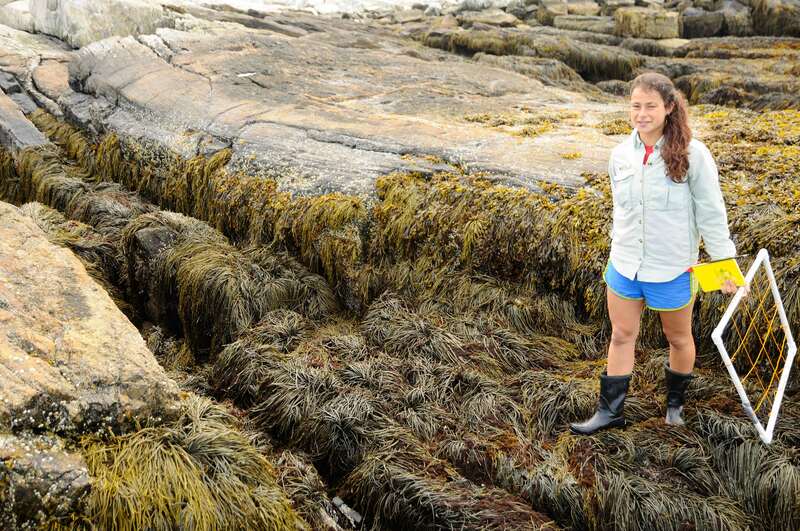 The internship provides expertise in New England intertidal organisms, data analysis, and excellent training for employment in marine biodiversity surveys. Appropriate coursework in marine invertebrates and phycology is strongly recommended. Previous experience at SML is preferred, but not required. Relevant SML courses include: Ecology & the Marine Environment, Field Marine Invertebrate Biology, and the Shoals Research Apprenticeship. Includes room & board for 2.5 weeks, and roundtrip vessel transportation from Portsmouth, NH to Appledore Island. Interns are responsible for their own transportation to/from Portsmouth, NH at the beginning and end of the internship. Four interns will be selected. View past internship posters here: 2010, 2012, 2013, 2014, 2015. Intertidal Ecology Interns collecting transect data in a quadrat. Field site on the south end of Appledore Island. In the field, quadrat in hand.